I don't even know what the hell I just witnessed. The Patriots came back in the fourth quarter to tie this game 20-20. They had all the friggin momentum in the world. 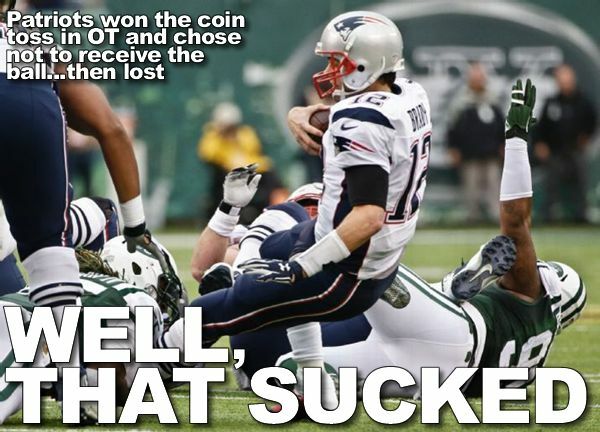 Then in overtime they win the coin toss and choose not to receive the ball? What a friggin wasted game.